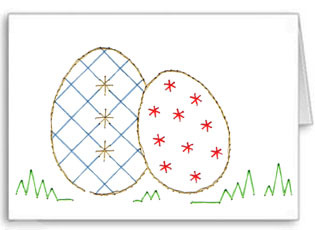 A bright, attractive hand made Easter card of two colourful Easter eggs. This card has been stitched in blue, red, gold and green, but you could use any colour of your choice. Card making is great fun, why not try it.